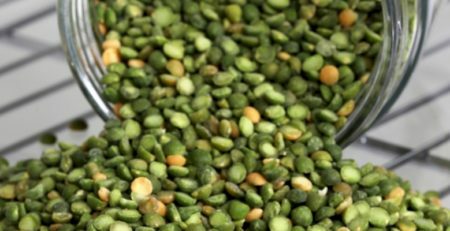 Are you keen to use every bit of space available in your pantry? If you’re like us, you know that pantry space in your kitchen storage is valuable. Luckily, there are some quick and easy solutions to get the most out of your cabinets. 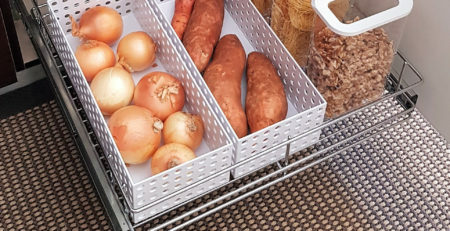 Of course, a great place to start is replacing shelves with pull out wire baskets, to maximise space by up to 30% more. 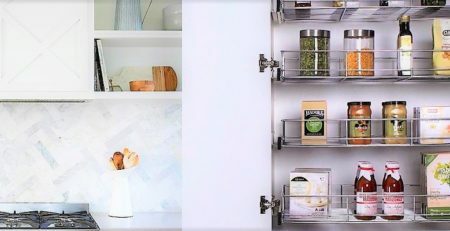 But if you feel that you still need extra storage, there are more options available..
We all know that 2+2=4, but did you know that pull out baskets + spice racks = more pantry storage? Consider adding Spice Racks to the cabinet doors, in a pantry where there are already pull out wire baskets. 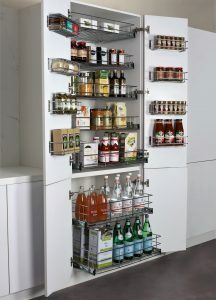 This really does maximise space in a pantry. When you leave a gap of 150mm of height in between each pull out basket in a pantry, space is created to install spice racks on the door. When the door is closed, the baskets then sit flush in the cabinet. Amazing, right? 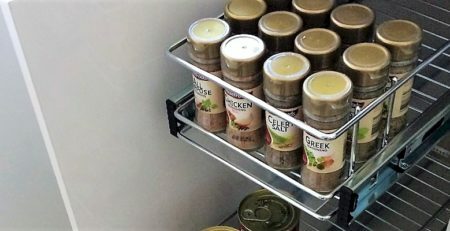 In a standard height pantry, what was once a cabinet with 5 shelves, can now be replaced with 6-7 Pull Out Baskets (a combo of 100 & 150 H) as well as 3-4 Spice Racks on each door. Storage is increased, to the max! Pull Out Baskets range from 100mm to 900mm wide and prices start from $60.36, including slides. A standard depth of 485 depth ensures our baskets fit well into most pre-existing cabinets. 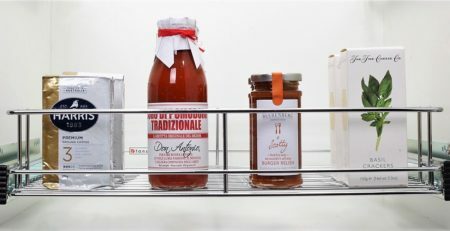 A range of 3 different heights (100, 150 and 200mm) allows for full flexibility with what you are storing in your pantry. Spice Racks (fixed to a door or wall) are 300mm wide and come in heights of 100 and 150mm, with a depth of 100mm. Ask about our new different sizes too. Prices start from $21.61. 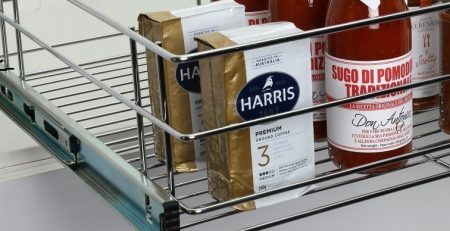 Optional Non Slip Bases ensure bottles, jars and/or cans won’t move around the basket or rack and help prevent breakages. Fancy yourself a little bit handy? Tansel products are suitable for DIY installation too. If DIY doesn’t work for you, ask about our ever growing network of professional installation services. And don’t forget to benefit from our friendly expert advice and recommendations for your cabinets too. 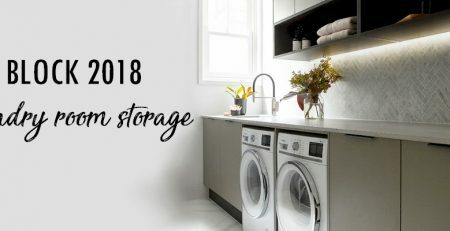 Would you like to see regular storage inspirations? We are always posting clever new inspirations for simple storage solutions on social media. Follow us on Instagram (@tanselstorage) and Facebook today! 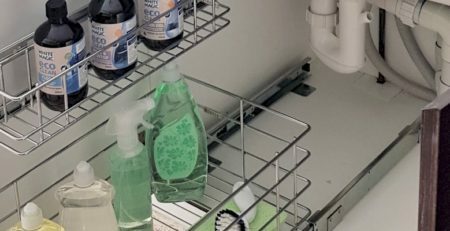 Make the Most of Your Under Sink Storage! Which Drawer Slides Work Best For My Space?